Applying for a job can be a difficult and daunting task for anybody, especially for those who are young and have just graduated. If you have just started looking for your first full-time job, then chances are you are very unfamiliar with the entire job hunting landscape. 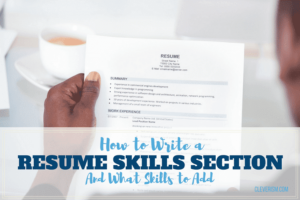 You need to conduct plenty of research to craft the perfect tailored resume and cover letter fitting the job and the company. That is already hard enough. Now, you need to email these documents to the organization you are applying to. However, that is easier said than done. Many applicants put so much time and effort in their cover letters and resumes, but neglect to do the same with their emails. Nobody uses snail mail any longer to send in their job applications; email is the de facto standard of sending job applications. You need to be able to write the perfectly structured and formatted email that will be well received by hiring managers. Hiring managers receive a ton of email every day and see a wide spectrum of job emails. Many job application emails are so poorly written that hiring managers do not even bother opening any of the attachments! You need to stick to a professional style that recruiters love. How do you make your email stand out from the crowd? We are here to help you answer that question. We are providing you with some tips and, more importantly, email templates you can use to write your own job application email. Young graduates will benefit immensely from this article because they will learn so many tips to help them create an amazing job application email. In addition, experienced professionals who are now looking for a new job will learn a thing or two about job application emails, something that was not frequently used in the late 20th century. If you want your email to be read and loved by recruiters, then keep on reading. Before we present the various email templates we have prepared for you for your next job application, we want to lay out some things you should definitely do to make your email excellent. If you follow these tips, your email will definitely be positively received. If there is one thing you take away from this article, it is that you need to ensure you have a professional email address. Do not send your job applications from an email address you made as a child or as a teenager. While it may have been cool to use a fun email address when you were younger, that will never viewed in a positive light by recruiters. You are now an adult so you need a correspondingly professional email address. Try to use your first name and last name in your email address. For example, john.clarke@gmail.com or sandra.meyers@yahoo.com are very professional email addresses. When hiring managers see a job application from an email that is professional, they can actually take you seriously. Otherwise, they will not. Make sure to keep your job application email brief and get to the point quickly. The very first sentence in the first paragraph in the body of your letter should state your intentions clearly. As a result, recruiters will understand from the get-go what the email is all about. They will respect the fact that you mean business when you keep it short and simple. All of your details are in your cover letter; it is not necessary to say much in your email. State what you have enclosed, and show appreciation for considering your application. It is not necessary to go beyond this. One thing that you can mention is your work experience, but even that should be brief and pertinent. In case an employee at the company referred you, make a note of this in the email. You should have definitely mentioned this in your cover letter, but something as important as a reference should also be stated in the email. The earlier, the better. It adds more weight to your application. The email subject line should include your name and the position you are applying to. This is perhaps the most overlooked portion of an email, especially one for a job application. Before even opening an email, recruiters will read the subject line. If it is irrelevant, they will not open it. Ensure that it is relevant by stating the position, mentioning your name, and expressing that it is a job application. Recruiters receive a copious amount emails daily, so make sure your subject line is informative and gets to the point. In case your job post has a reference number or code of some kind, include this in the subject line. This will make it even easier for recruiters to associate your application with a particular job post. Some more tips on writing an email where you get a fast response. An email for a job application should be professional. This is not the place to be casual and friendly. If you write it in a very casual manner, it will come across as being an amateur and disrespectful. Using the appropriate formal greetings and closings will convey a sense of professionalism and respect to hiring managers. Never start your email with “Hi” or “Hello.” That is reserved for people who you know. You do not know your hiring manager on a personal level. Never address them by their first name. Again, you should be respectful and address them by their last name. The safest and most professional manner of addressing hiring managers in a job application email is “Dear Mr./Ms. Last Name.” This salutation is very formal, something recruiters love to see. Likewise, your closing to your email should be equally formal and professional. Do not end it with “Best Wishes” or “Cheers.” These are far too casual for a professional email that could decide whether you get the job. You require a closing more formal. “Regards” or “Sincerely” are the best closing remarks for a professional email. When jobseekers would send hiring managers paper letters in the past, they signed their letters just below the closing remark. You cannot do this in an email. However, you can still add an electronic signature that is far more elaborate than a regular signature. A signature is simply a stylized version of your name or initials. An electronic signature consists of many elements that make it very similar to your address that would put in the header section of a letter. Always include your electronic signature according to the format written above. It goes at the very end of your email. An electronic signature contains various means of contacting you. This makes it very easy for hiring managers to contact you if you have left a good impression on them. This is the de facto standard for all professional emails, especially for job application emails. Your job application email is only significant if it contains the documents to support your candidacy. State in your email that you have enclosed your resume, cover letter, and any other necessary documents that are required for the position. Double check that you actually attached them. Sometimes, applicants forget to actually attach these documents in an email and when a hiring manager cannot find them, they do not bother to consider the email any longer. Make sure that you attach these files, because they will ultimately determine if you are indeed eligible for an interview. Now that you know what to include in your email and how to write it, you can view the templates for job applications. We are presenting several types of templates you can use to convince your recruiter to take your seriously. All of these templates have been proven to be effective at winning over hiring managers. Emails are a science, and we have cracked the code to make it successful for you. We must state that your job application email is by no means a cover letter. It does not substitute the contents of your cover letter or your resume. There is no need to repeat all of those contents in the body of your email. This email should only succinctly highlight your intention to work at a particular company. Unlike a cover letter, business letter, or any other physical letter, an email does NOT require a header that contains your address and the company’s address. Those are reserved for physical letters, not electronic ones. An email is structured slightly differently than a regular letter, as you will see below. If you have just graduated, or about to graduate very soon, then you need to make this statement in your job application email. This template is made just for you, to help you get started on your career. I came across a very exciting position on your job portal that I believe fits me perfectly. I am interested in applying for the position of Development Engineer (Job Reference Number A123) at Sony Electronics. After reading the job description and requirements and matching it with my own experiences, I know that I would be a valuable asset to your organization. I recently graduated with a Bachelor of Science degree in Electrical Engineering from the University of Texas. I now want to apply my skills in a multinational company like Sony. As a development engineer, I can implement engineering concepts to design innovative and ingenious products for consumers. I have attached a cover letter, resume, and certificates for your consideration. Please take a moment to go through them to get a better picture of who I am. I would love to talk to you in more detail regarding this amazing opportunity at your company. It would give me great pleasure to hear back from you regarding my application. If you have been working for a number of years already and are on the lookout for a new job at another company in your industry, then this email template is made for you. Your experience here is very important and should be emphasized in your email. I have 4 years of experience as a Software Developer at my previous company. I came across an interesting position of Software Tester (Job Reference Number 9467) on your website. Company XYZ is renowned for testing all kinds of software and applications before they are released. As I know how they were programmed, I would be able to quickly detect all bugs and errors that need to be rectified. My skillset and expertise makes me a valuable asset to your organization. After graduating with a degree in Computer Science, I worked at Company ABC as a software developer for 4 years. I designed and programmed engineering software that students use in academia. I now want to challenge myself in a new environment and your company offers just that. I have attached a cover letter, resume, and certificates for your consideration. Please take a moment to go through them to get a better idea of who I am. I would love to talk to you in more detail regarding this amazing opportunity at your company. I look forward to hearing back from you regarding my application. Sometimes, the best way to get a job is to be referred by your friend who works at a company or by someone else you may have met who also works there. In these scenarios, it is best to include this information in your email. This will make your application stand out. My friend Sandra Cooper, who is a Chemical Engineer at your company, recommended me to apply to this company for the position of Junior Chemical Engineer (Job Reference Number N364). I have a deep interest in chemistry and I want to take Bio Corp to next level with my diligence and resilience in the lab. Since I studied alongside Sandra in school, she knows my potential very well so when you hire when, you will be getting a great professional who can deliver results. I recently graduated with a Bachelor of Science degree in Chemical Engineering from the University of Sydney. I now want to apply my skills in a world-renowned chemical engineering firm like Bio Corp. I enjoy conducting tests in a laboratory and I am very familiar with the chemicals you are working with. I would like to have the chance to personally talk to you regarding this amazing opportunity at your company. I hope to hear back from you regarding my application. If you are an experienced worker, the prospect of shifting careers or even entering an entirely different industry may have crossed your mind. You are looking for an exciting new challenge, and pursuing a new career track could give you what you are looking for. In these situations, your email should reflect your interests and the things you can bring to a company. Leverage your experiences to make this happen. I have 8 years of experience as a marketing consultant and now I am looking for a new challenge. Your company specializes in digital marketing, something that I have been learning every week for the past several years and have applied a lot this past year. I want to apply for the position of SMM Specialist (Job Reference Code KM52) at your company because I know a lot about social networks. 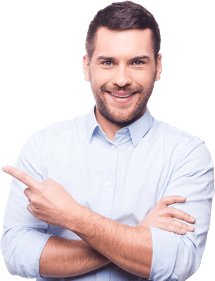 You will be getting a great professional who can deliver exception results if you hire me. I have worked with some the biggest Fortune 500 organizations, helping them design their ad campaigns when they were launching new products and services. I now want to apply my skills in an online world. I know that online marketing is the future and I can take your company to a higher level with my expertise and contacts. I have attached a cover letter, resume, and recommendation letters for your consideration. Please take a moment to go through them to get a better idea of my credentials and experiences. Many jobseekers attend job fairs to get in touch with companies personally and speak with recruiters to get a better understanding of job prospects. Sometimes, a jobseeker leaves a very good impression on a recruiter and the recruiter offers their business card to them. This is your perfect opportunity to apply to the company for your desired position. We spoke yesterday at the IT job fair in downtown San Francisco. We had an engaging conversation regarding your company’s activities and I described how my goals align with those of your company. You even handed me your business card at the end of our conversation. I did some further research on your company and the positions available. The one that stood out to me is the one you actually suggested me to apply to – robotics programmer. As a quick reminder, I recently graduated with a Bachelor of Science degree in Mechatronics Engineering from the University of Cambridge. I now want to apply my skills in electronics and mechanics at a robotics company. As a robotics programmer, I can implement engineering concepts to design innovative and ingenious robots and electrical machines. I have attached a cover letter, resume, and certificates for your consideration. Please take a moment to go through them. I would love to talk to you again to discuss more about career opportunities at your company. It would give me great pleasure to hear back from you regarding my application. With the advent of LinkedIn, the entire landscape of job hunting has radically changed. You can now connect with professionals working at your target company and establish a common ground to boost your chances of being hired. Many jobseekers communicate with human resources employees beforehand and then send their job applications. In that case, this email template will help you out with that. I reached out to you on LinkedIn a few days ago and we had a brief conversation about job opportunities at your company. You said that I could send you a speculative application and your company will interview me and find an appropriate department for me to work in. I am interested in working at Nintendo as a games developer. I firmly believe that I can make a significant impact in your company in whatever role you deem would fit me. I recently graduated with a degree in Computer Engineering from the Princeton University. I minored in games development and I now want to apply my skills in one of the largest games developer on the planet. As a games developer, I can create innovative and fun designs for your video games. I would love to talk to you in person regarding amazing and exciting opportunities at your company. I would be very grateful to hear back from you regarding my application. So far, we have presented many templates that jobseekers can use if they are applying to a full-time position. But what if you are looking for an internship? Is it the same? No, it is not. There are subtle differences in the email. Fortunately for you, we have a template geared towards those looking to intern at a company. I am currently in my final year at the University of British Columbia and I want to intern at your financial institution. I major in finance and I want to establish a career in banking. After reading about your company, I am very interested to work at Citibank, one of the largest investment banks in the world. I want to learn from the best in the industry and give back to the organization. I am studying BBA – majoring in finance and with a minor in management. I now want to apply my skills in a multinational bank like Citibank. I can implement the financial concepts I learned in school. I have attached a cover letter, resume, and transcripts for your consideration. Please take a moment to go through them to get a better picture of who I am. I would love to talk to you in more detail about interning at your company. It would give me great pleasure to hear back from you regarding my application. In this article, we have gone over several tips you should definitely follow to write the most professional and polite email for a job application. Never forget to keep your subject line of your email, as well as the body of your email, brief and focused. It should not be as long as an essay. Your cover letter is there for that. Also, do not repeat what is on your resume; just give the key points and nothing else beyond that. You need to create your very own electronic signature for job application emails and you should only enclose pertinent documents. Furthermore, you know have a wide variety of templates to follow to help you write your own job application email. We have provided various scenarios that you may be in when looking for a job. You could be a fresh graduate or an experienced professional – one of these templates will surely fit your situation and requirement. Now that you know what to include in your email and how to format it, go out there and start sending you job applications. We assure you that hiring managers will love what they are reading.